The NFPA (National Fire Protection Association) is the organization that writes and publishes the National Electrical Code as well as many other fire prevention guidelines. Click on the link above for more information. The following links are for your reference only. Please feel free to recommend additional websites you think may be useful to fellow students. 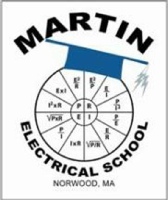 The Massachusetts Board of Electrical Examiners is the government body that regulates licensing of electricians in the Commonwealth of Massachusetts. Click on the link above for more information. PSI Exams is the organization that administers the Massachusetts Electrical License Exams. They also have information on the requirements for testing on their website. Click on the link above for more information.